Diagnostic services encompass a variety of tests and methodologies, which can be used to differentiate between healthy and unhealthy heart function. These tests help cardiologists better understand the pathology of a patient’s heart disease. Learn more below about the diagnostic services offered through Phoenix Heart Center in Phoenix, Mesa, and Tempe. An ankle brachial index test is a painless, noninvasive screening test done to evaluate risk for peripheral vascular disease. During an ABI test, inflatable blood pressure cuffs are placed around the ankles and arms. The cuffs are inflated and blood pressure readings of the legs and the arms are compared. Significantly lower blood pressure in the legs may indicate peripheral vascular disease. A Doppler ultrasound device is also used during this test. The device allows your cardiologist to listen to blood flow through your legs. In this ultrasound procedure, a handheld transducer sends and receives sound waves to detect the size, shape, and movement of solid objects. The sound waves are converted into colors, which provide information about arterial blood flow. This diagnostic test can be performed to check for blood clots, narrowed blood vessels, and atherosclerosis. Cardiologists may also use a Doppler ultrasound to evaluate blood flow after a stroke or surgery or to check up on the condition of a bypass graft. This procedure (also known as an arteriogram or angiogram) uses x-rays and a special contrast dye to create images of the inside of the arteries. During the procedure, a contrast dye is injected into an artery or vein. An x-ray can then trace the dye as it moves through the bloodstream, revealing important information about the structure and functionality of your arteries. Atherectomy is a catheter-based procedure that physically removes plaque from arterial walls. Atherectomy may be performed by a laser, burr, or a surgical drill bit. Balloon angioplasty (also a catheter technique) compresses plaque against arterial walls by means of a tiny inflated balloon. These procedures may be performed independently; or, in some cases, a balloon angioplasty may be performed after an atherectomy to get rid of any remaining plaque. Cardiac catheterization is a medical procedure in which a long, thin, flexible tube (a catheter) is inserted into a blood vessel to perform diagnostic tests or treatments. Traditionally, a catheter for this purpose is inserted into a vessel in the neck or groin. At Phoenix Heart Center, cardiologists have pioneered a method that utilizes the radial artery on the wrist, which offers a number of benefits for the patient and physician. Learn more about this exciting new procedure. If your primary care provider has detected problems with your cardiovascular health, he or she may refer you to a cardiologist for further analysis and diagnosis. During a cardiology consultation, a board-certified interventional cardiologist will evaluate your condition and may recommend treatment options, if necessary. Chest x-rays can provide pictures of the heart, lungs, and other vital organs and blood vessels in the chest. These x-rays may be used to diagnose heart failure. Abdominal x-rays can provide images of the abdomen, including the aorta. Patients with abdominal aortic aneurysms may undergo an abdominal x-ray for diagnosis and treatment purposes. Similar to a Doppler ultrasound (see above), an echocardiogram uses sound waves to visualize the heart and other cardiac-related structures, such as the aorta (in the abdominal region) and the carotid arteries (in the neck). An echocardiogram may be used to diagnose the severity and location of plaque build-up in patients with coronary artery disease. It can also be used to detect heart valve problems, congenital heart defects, and other problems in the heart. Learn more about transesophageal (TEE) and transthoracic echocardiograms (TTE). An electrocardiogram is one of the most basic and simple tests used to monitor the heart’s rhythm. An EKG monitors and records the electrical activity of the heart. (The heart’s electrical signals regulate heart rate.) An EKG can be used to diagnose past heart attacks, as well as those that are underway. An EKG may also reveal information about congenital heart defects, heart valves problems, heart failure, cardiomyopathy, and coronary artery disease. An intracardiac (or intravascular) ultrasound relies on the same principles as an echocardiogram (see above). However, instead of a handheld transducer, a tiny catheter-based transducer emits sound waves from within the artery. This type of ultrasound is used to obtain clear images of the arteries, blockages, stenoses, and the heart structure. The technology is now being used as an alternative to transesophageal echocardiograms in some procedures. There are a number of blood tests that can help your cardiologist rule out or confirm heart disease, heart attack, and other cardiac-related health issues. These include tests for C-reactive proteins, fibrinogen, homocysteine, cholesterol, lipoprotein (a), electrolytes, blood enzymes, troponin, creatine kinase (CK-MB), and more. 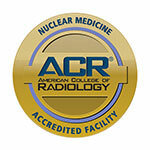 Nuclear cardiology is a branch of medicine that allows physicians to see images of the heart and cardiovascular system. These tests, also known as sigle-photon emission computerized tomography (SPECT) scans, are non-invasive. They can help diagnose coronary artery disease by revealing areas of the heart not getting enough blood. Coronary artery disease occurs when fatty plaque deposits build up in the arteries that supply blood to the heart. This condition is known as atherosclerosis. The decreased blood flow prevents oxygen and other nutrients from reaching the heart muscle, which can cause angina (chest pain) and heart failure. This test measures the concentration of oxygen in the bloodstream. The vast majority of oximeters are pulse oximeters. A pulse oximeter is placed on the finger, infrared light beams through a capillary bed, and measurements are taken by the device to determine how oxygenated the blood stream is. A pacemaker is a device that monitors and regulates heart rate. These devices are typically implanted beneath the skin in the chest wall. While a pacemaker is permanent, its battery will not last forever. During a pacemaker evaluation, the cardiologist will perform an EKG (see above) to check the battery’s power. Learn more about pacemaker implantation and loop recorders. A peripheral vascular (or arterial) evaluation is a noninvasive test that checks for blockages in the legs and/or arms. During the test, blood pressure cuffs are placed on the arms and legs at different points. Blood pressure is recorded and a sound wave transducer (ultrasound) monitors blood flow. Other tests may be performed during a peripheral arterial evaluation. Arteriograms (also known as angiograms, see above) are complex diagnostic procedures that require technical skill and experience. If your cardiologist’s angiogram interpretation has you concerned, then a cardiologist at Phoenix Heart Center may be able to provide you with a second opinion. When it comes to a major health decision, patients are encouraged to get second opinions. “Vein mapping” is a type of ultrasound done to determine which vein(s) in the leg may be useful for a coronary artery bypass graft or a bypass graft in the leg. This surgical planning procedure is completely painless and noninvasive. During the procedure, the physician applies a special gel to your leg. A small transducer is passed over the leg, emitting high-frequency sound waves. These sound waves are reflected off the veins and back to the transducer, creating a useful map of the veins in the leg. This helps your surgeon or interventionist prepare for an efficient procedure with the best possible outcome. A vein mapping procedure may be completed in a half hour or more. For more information about diagnostic services, or to schedule an appointment with a cardiologist in Phoenix, Mesa, or Tempe, contact us.